The Nashville Predators are still chasing that elusive Stanley Cup, but they continue to show they're willing to do whatever it takes to fulfill their dream. Whether it's trading first-round draft picks for veteran players or matching a mammoth offer sheet for its franchise player and captain, Nashville brass will not rest until it's parading Lord Stanley around Music City. That challenge grew bigger this summer when the Predators lost defenseman Ryan Suter to the Minnesota Wild via free agency. Suter, who along with Shea Weber formed one of the top defensive pairings in the NHL, signed a 13-year deal with the Wild on July 4. Two weeks later, the Philadelphia Flyers tried to pry Weber away. They signed the Predators' captain -- who was a restricted free agent -- to a 14-year offer sheet. Nashville had a week to match it but didn't need the full seven days to announce it wasn't about to allow Weber to leave town too. Though it won't be easy to replace someone of Suter's caliber, Predators general manager David Poile said he believes it is an opportunity for another player within the organization to step up and help fill the void. And with Weber still in the mix, and Pekka Rinne between the pipes, the chance to win remains solid. "A little over a year ago, after we won our first playoff round, we made a lot of hard decisions and we let go of a lot of veteran players and started the season last year as the youngest team in the League," Poile said. "That, to me, started the window of opportunity. That’s where I felt, potentially, that the next three, four or five years, as long as we keep the bulk of our team together, that this was our chance to win. With Pekka signing and now with Shea signing, I think we're well on our way to living up to that hope or that phrase with the window of opportunity. "I think everybody on our team has a chance to have a career year. We're all getting better. We're at a place where virtually all of our players potentially can get better. We couldn't be in a better position than we are today." 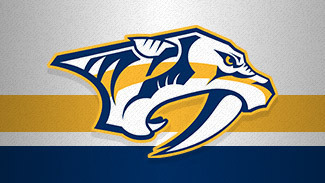 Even without Suter, the Predators will be a competitive team in 2012-13. Other free agents elected to remain in Nashville, including trade-deadline acquisitions Paul Gaustad and Hal Gill. Sergei Kostitsyn, who has scored 40 goals and 93 points over the past two seasons, also agreed to a new deal. "I think everyone that has played [in Nashville] knows how great the city is and they talk about that, they love the atmosphere at the rink and everything about the city," Weber said. "Now that I'm there hopefully for the rest of my career, we can … David said he felt like he was handcuffed because nobody would commit long-term. Now there [are] guys committed long-term and there's no more excuses that way. We can try to recruit guys and tell them all the good things we've got going and what we look forward to in the future." The Predators believe Roman Josi is the first candidate to skate alongside Weber, which could be for more than 25 minutes per game. Josi, who was Nashville's second-round selection (No. 38) in the 2008 NHL Draft, had 16 points (five goals, 11 assists) and a plus-1 rating in 52 games for the Predators in 2011-12, his first season in the NHL. "If we were going to start today, Roman Josi would move up to that spot next to Shea -- for a number of reasons," Nashville coach Barry Trotz said. 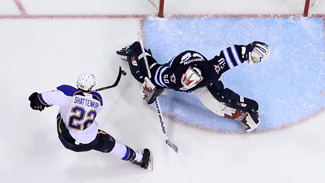 "I think he does a number of things Ryan Suter did at the same age (Josi turned 22 in June). I think Roman is an up-and-coming player. Roman's ability to move the puck, skate with it, complements Shea's veteran presence, his physicality, his big shot. He catches a lot of minutes against top guys. I would probably say that would be my first play at training camp, Roman lining up with Shea, and that would be a pretty strong twosome." If that's the case, there's no reason to believe the Predators can't be a force in the ultra-competitive Central Division again -- even without Suter. "I'm as excited about this team as any team we've had," Trotz said. "Starting out last year, where we were at the start of last year and where we are at the start of this year, it's not even the same position. We're so much farther ahead with our young guys. We ended up with 104 points last year with a team at the start of the year that I didn't think had enough there. And as the team grew, we added guys like Paul Gaustad, Hal Gill, those type of people. And the improvement of the young guys like [Craig] Smith, [Colin] Wilson, Gabriel Bourque up front, Roman Josi and Ryan Ellis, this team is really set up long-term and really in a good position. … We're in a go-forward mode to win a Stanley Cup."